Priyanka Chopra and Ashley Graham are uniting for a good cause! The ladies hit the black carpet as they arrive at the God’s Love We Deliver Golden Heart Awards on Tuesday night (October 16) at Spring Studios in New York City. 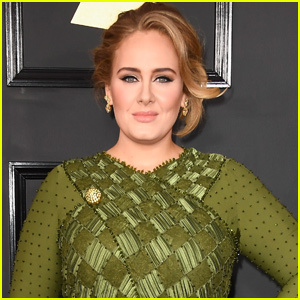 Other stars at the event included Bette Midler, Neil Patrick Harris and David Burtka, Iman, Lynda Carter, Anna Wintour, Bee Shaffer, Michael Kors, Emily Robinson, and Nathan Lane. FYI: Bette‘s dress is by Michael Kors. Iman is wearing a Michael Kors outfit. Emily is wearing a Michael Kors dress. Kathryn Hahn & Paul Giamatti Attend 'Private Life' NYFF Premiere! Kathryn Hahn and Paul Giamatti walk the red carpet at the New York Film Festival premiere of their movie Private Life on Monday (October 1) at Lincoln Center in New York City. The actors were joined at the event by their co-stars Emily Robinson, Molly Shannon, Kayli Carter, and Desmin Borges, as well as writer and director Tamara Jenkins. “Private Life coming to Netflix this Friday. It’s a speshi one… I’m completely in love with these literal geniuses. It’s the most insane to be standing beside so many of the people who made me fall in love with cinema. Gonna leave this with you as I continue to process that!” Emily wrote on Instagram after the premiere. FYI: Kathryn is wearing a Rosie Assoulin dress, Jimmy Choo shoes, and a Roger Vivier clutch. Emily is wearing a Sachin & Babi dress. Ncki Minaj looks so hot stepping out for the NYFW Kick-Off Party hosted by E!, Elle Magazine, and IMG Models on Wednesday night (September 5) in New York City. 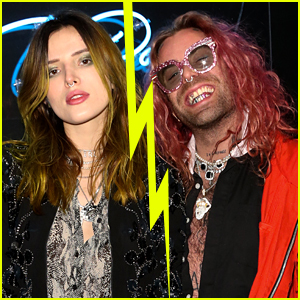 The 35-year-old rapper debuted her new pink hair while showing off some skin in a silk yellow blazer, tiny black shorts, and thigh-high boots as she hung out with Elle‘s Editor-in-Chief Nina Garcia at the party. Also stepping out for the party was a very pregnant model Slick Woods along with fellow models Olivia Culpo, Shaun Ross, Eric Rutherford, Coco Rocha, and Shanina Shaik. Other stars included Francia Raisa, Amanda Steele, Victor Cruz and Karrueche Tran, Lizzo, Emily Robinson, along with Evan Rossvan Ross and Ashlee Simpson. FYI: Nicki is wearing an Off White jacket and Deborah Pagani jewelry. Olivia is wearing a Julien Macdonald dress. Shanina is wearing a Retrofete dress. 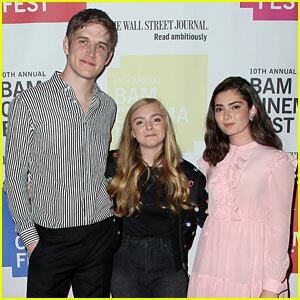 Writer and director Bo Burnham poses for a photo with Elsie Fisher and Emily Robinson at the BAMcinemaFest Spotlight Screening of their movie Eighth Grade on Wednesday (June 27) in New York City. Also stepping out for the event were co-stars Josh Hamilton, Jake Ryan, Daniel Zolghadri, Fred Hechinger, Imani Lewis, Luke Prael, Catherine Oliviere, and Nora Mullins. Eighth Grade follows 13-year-old Kayla (Fisher) as she endures the tidal wave of contemporary suburban adolescence and makes her way through the last week of middle school – the end of her thus far disastrous eighth grade year – before she begins high school. The indie film will hit theaters in limited release on July 13. FYI: Emily is wearing a Blumarine dress. Katie Holmes, Dianna Agron & Karlie Kloss Sit Front Row at Carolina Herrera NYFW Runway Show! Katie Holmes is picture perfect as she strikes a pose at the Carolina Herrera Fall 2018 Runway Show held during New York Fashion Week: The Shows on Monday (February 12) in New York City. The 39-year-old actress was joined at the front row of the presentation by Dianna Agron, model Karlie Kloss, Transparent star Emily Robinson, Nicky Hilton and Olivia Palermo. That same day, Katie bundled up in a silver jacket to also attend the Ralph Lauren fashion show.